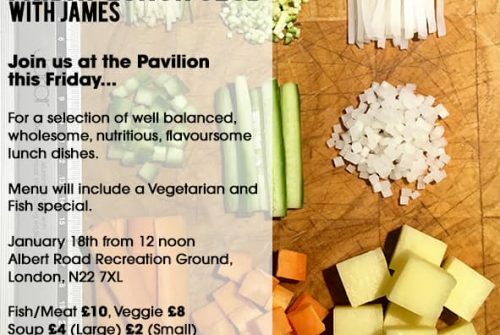 The Pavilion Sports and Café was founded in 2003 by Robby Sukhdeo, with the support of Haringey Council and the Friends’ Group FARRG, Robby has created a popular community facility that has seen a large increase in visitors to the Green Flag-winning park. As a Haringey resident for over 45 years, raising three children, I believe that local parks should be for everyone, they are the perfect place for people to mix and relax, and by offering first class facilities the experience is far more enjoyable. By engaging the community we have dramatically proved that we can bring people together in so many ways……. and reduce crime, at Albert Road we went from over 250 incidents against the pavilion in 2005 to 1 in 2009 none in 2010 none 2011 and one in 2012, we did this by engaging everyone, the teenage group that were bored and causing trouble soon became part of the plan, we offered them the experience of working in the cafe or getting involved with sport, we have now brought on over 60 teenagers qualifying them in basketball, football and, or tennis. The youngest members have now grown up with the Pavilion and respect the facility and park. We took over the lease of a derelict building used as changing rooms and these underused extremely poor courts in a run-down park eleven years ago. The link between café, sports and recreational facilities would guarantee that the community could merge, engaging the community in a wider range of activities. I engage with all ages and groups within the community. Pavilion Sports & Café runs 6 full size tennis courts, 4 mini tennis courts and 2 basketball courts in Albert Road Recreation Ground in the London Borough of Haringey. We offer good food and drink at an affordable price. I’ve always believed in Haringey that people should have the same sporting opportunities, no matter what their background or economic circumstances. 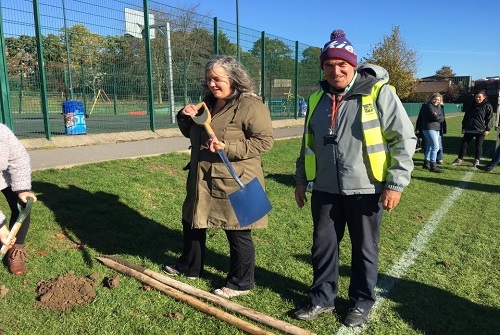 Partnerships – During this time we have built a strong partnership with the Friends of Albert Road Recreation Ground(FARRG), Haringey Council, Lawn Tennis Association(LTA)/Tennis Foundationand(TF) but most of all the local community. Albert Road Recreation Ground in Haringey, London won the prestigious ‘Getting Active’ on a Queen Elizabeth II Award at the Fields in Trust Awards Ceremony 2012. Visited by 8 Members of the European Parliament in September 2011, chosen by the LTA to showcase grassroots tennis. After visiting the Olympic venues, South Bank and Tottenham Hotspurs FC, Emma McClarkin MEP writes, However, the highlight of the trip was a visit to a grassroots tennis project in Haringey hosted by the Lawn Tennis Association. The project had grown up around the vision of one man, Robby Sukhdeo, who took over a disused pavilion in the centre of a park. 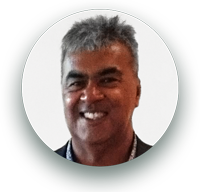 By investing in sporting facilities and offering tennis coaching, he turned the pavilion into a vibrant cafe and the park into a place where literally hundreds of kids are playing organised sport at any one time. Mayor of London Safer Park Award received ‘Gold’ for the Albert Road Recreation Ground Feb 2012. Invited by Tennis Australia to the Australian Open to give a talk at their Annual Coaches Conference at Melbourne Park Jan 2012. Speaking at the GLA about Youth engagement Dec 2011. I won two awards at the Institute for Sport, Parks and Leisure Awards 2009, I was awarded Sports Development Officer of the Year Overall Winner for the UK, I was also given an award for my achievements in the Private Sector. Mayor of London Safer Park Award received ‘Gold’ for the Albert Road Recreation Ground 2011. 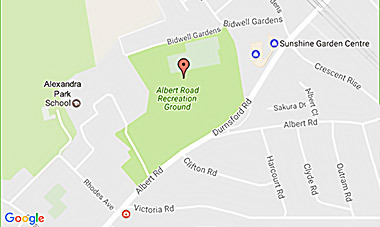 I am also the events co-ordinator and communications officer for the Friends of Albert Road Recreation Ground. The Friends and I have worked closely with Haringey Council over recent years to transform facilities at the park, including turning a derelict building into a thriving community centre and providing improved sporting facilities. The organised sports taking place there now are football, tennis, basketball, Aussie rules, cricket and netball. Albert Road Rec has been awarded a Silver Gilt award by London in Bloom at the award ceremony 2010. The judges specifically said that the ‘the community and partnership work seen is really first class e.g. Albert Road Rec’ and go on to say ‘ … and Community initiatives at the Albert Road Recreation Ground continue to provide inclusiveness and tangible benefits for a large sector of the local population.’ Albert Rec was marked 82 out of 100 with community involvement receiving top marks (15 out of 15). June 2010 Awarded Beacon Status for tennis. Work closely with Friends of Albert Road putting on annual Jazz fest, family sports day, quiz nights, Cancer fund raising, Xmas party etc. Received £5,000 from Safer London (2010) to bring on ‘more challenging’ youths as tennis leaders. 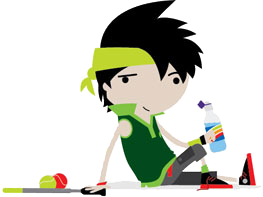 Work in close partnership with all the local schools, sponsor tennis and football teams and competitions. Worked for Haringey Business Partnership as a mentor for primary and secondary school children. Sponsor of many local school events. Engaging and facilitating with other community groups using the park eg Wood Green Youth FC, Alexandra Park FC, Dellapria Boot Camp, Pushy Mothers, Haringey Tennis League, Three Potato Four(Toddler Arts and Crafts) etc. Put tennis on the map and agenda for Haringey. Received £300,000 from LTA/TF to refurbish tennis courts. Worked as a tennis consultant for the Tennis Foundation touring the country. 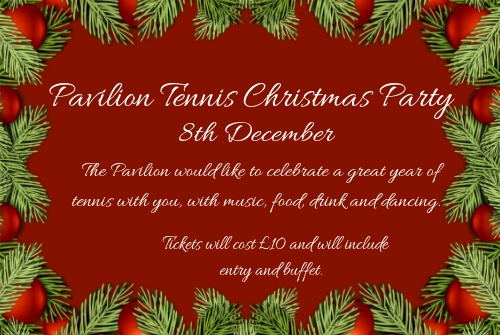 Work very closely with Middlesex LTA to deliver a comprehensive tennis programme at the Pavilion. Act as a flagship business model for people coming from all over the country with a view of engaging the community. Receive children from every Haringey Secondary school on work experience. Employ challenging young adults and bringing them on in the café and sport. Allow the local schools to use our courts for free during the day and after school. Free places offered on all our courses for deserving candidates. Very strong partnership with Haringey Council parks department. Loan of Pavilion equipment e.g. Marquees to other Friends groups across the borough. Inspiration behind the Haringey World Cup Football competition 2010 with over 100 teams entering across the borough with the Finals culminating on the same day as the World Cup Final. Greeted President Zuma to Albert Road Recreation Ground. Ward Panel member for the Safer Neighborhoods Police for Alexandra Park Ward many meetings hosted by the Pavilion Café. Member of Wood Green Old Boys Football Club since 1972.